If you need to rent a scooter for your holiday in Gran Canaria we can help, enjoy your holiday with our selection of scooters. The Mini Crosser range is made in Scandinavia, specifically for Nordic conditions. 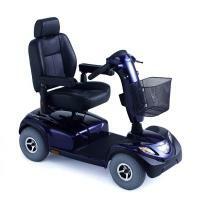 It is the best-selling electric scooter in Northern Europe. 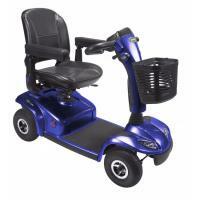 The Mini Crosser features are functionality, strength, comfort, durability, safety and overall economy. We find adaptability and flexibility are very important factors for many users, especially those with conditions such as arthritis, muscular atrophy, multiple sclerosis and pain. 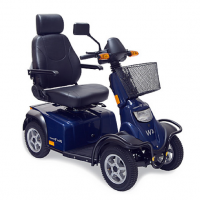 Their needs can often change over time, for example, a larger seat, extra support, electric add-ons and other accessories - so you can change the specifications of your Mini Crosser suit your changing needs. 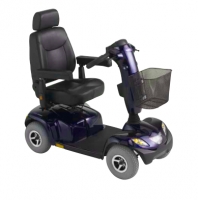 The Orion scooter has all the features for security and stability to ensure smooth and safe driving. 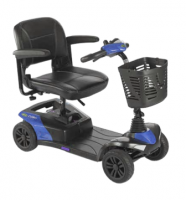 If you like shopping or making long runs, the scooter Invacare Orion will provide all the freedom and independence it needs. Combining ergonomics and style, Orion is the perfect choice to travel and relax at the same time. The Colibri is the micro Invacare scooter that will provide comfort, autonomy and performance that was waiting. It is ideal for activities of daily life partner such as a shopping mall or walk around the city and all this without effort! Thanks to its small size and its new patented removal mechanism LitelockTM *, it is very easy to carry and fits in the trunk of the car.